Today’s episode is with someone that I have been wanting to share with you for a long while, someone who came into my life and a pivotal time during the process of the divorce and helped me to step out of the victim role. 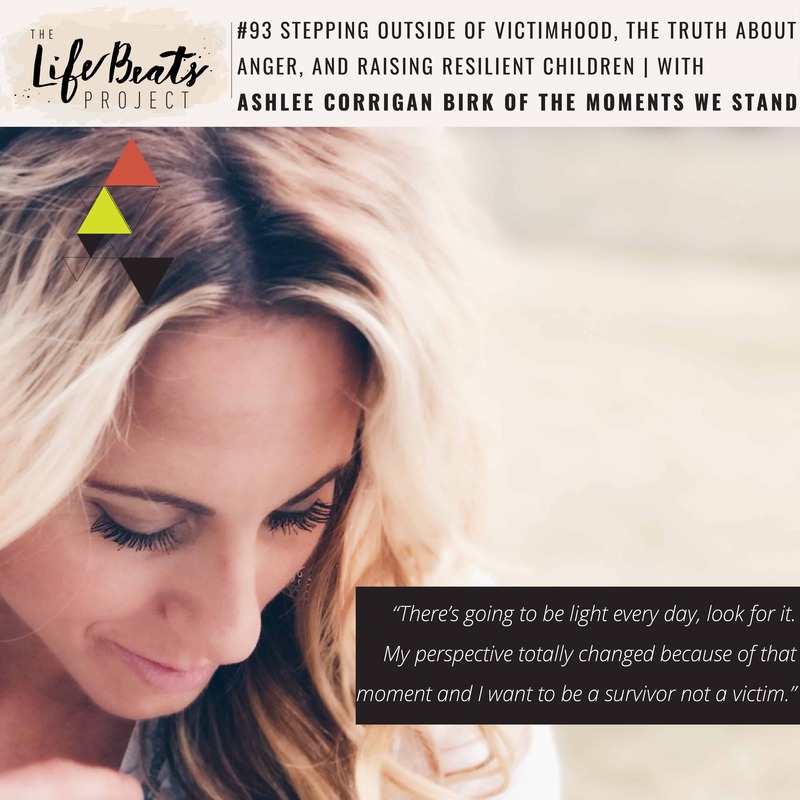 Ashlee Corrigan Birk is the founder of The Moments We Stand, author of two books that document her story, as well as the creator of the conference A Reason to Stand for all who have ever felt broken. Today Ashlee shares her almost unfathomable journey of recovery after her husband was murdered in the arms of his mistress by her husband. She speaks of the fog, the pain, the rejection, the devastation, and why she felt safe with anger. She tells of her experience in the court room that finally allowed her to step out of victimhood, the experience I heard her tell at her event that changed my life. I share my own story of wearing my victomhood badge in regards to Mike’s decision to leave. Ashlee passionately shares examples of her determination to raise resilient children who do not use their circumstances as an excuse but display kindness and compassion. She speaks to her own healing and the power of service and how she maintains her vertical connection and looks for the light every day. Listen and be inspired to have confidence in your own story, to learn to apply grace and hope to the one you have now or understand that you have the power to write a new one.